Mr. Media Interviews by Bob Andelman: 99 Amin Matalqa, director, "The United"
99 Amin Matalqa, director, "The United"
Watch the exclusive Mr. Media interview with former Amin Matalqa, director of the new Disney youth soccer film "The United," by watching the video player above! 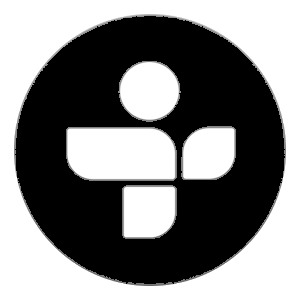 Mr. Media is recorded live before a studio audience of Hollywood studios that recently discovered there are people on our great ball of mud who speak languages other than English but share a common love of sports… in the NEW new media capital of the world… St. Petersburg, Florida! I never played soccer but once I was drafted almost a dozen years ago to coach my 5-year-old's team—no other parent would step up—I was hooked. And even though she lost interest in the sport, I've been steadfast in it ever since; I'll be in my seventh year of overseeing a middle school girl's team this fall, having executed a perfect 15-0 season last year. I'm not telling you that to brag—okay, maybe a little—but to express how much I am drawn to the potential this particular sport has for changing young lives. And that's why I'm eager to talk to director Amin Matalqa today about his new soccer film, The United—even though it is an Arab language movie with no guarantee it will ever be shown in North America. AMIN MATALQA podcast excerpt: "It was hard to believe we actually made an Arabic language Disney movie! It was... surreal is the world. We started shooting the film in Jordan and the revolution in Egypt broke out." The trailer is all about a motley crew of young men who seem lost and adrift, some slovenly, others highly unlikely to have ever found their way to any athletic endeavor. But it promises viewers that this group might just find salvation on the soccer field. 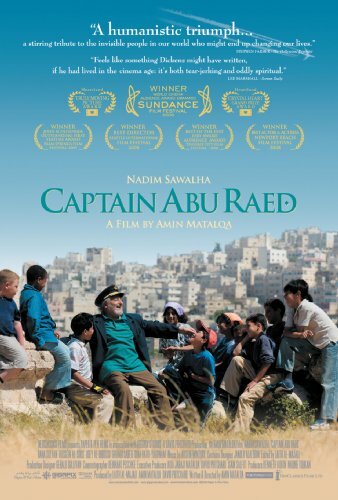 Captain Abu Raed, a film by Amin Matalqa, available from Amazon.com by clicking on the DVD cover above. Works for me—did you see Bend It Like Beckham? I have—about a hundred times. Just as Bruce Springsteen promises rock 'n' roll can save your soul, I think soccer can inspire the same for a lot of young men and women. Bringing The United to life is a young director named Amin Matalqa. I first talked with Amin in 2009 when he was promoting a wonderful indie film called Captain Abu Raed. It was a slice-'o-life film made in his native Jordan and it, too, showed how an opportunity to be a better person could revolutionize someone's path. Incidentally, Captain Abu Raed also won 27 major international festival prizes and became the first Jordanian entry to the Academy Awards for Best Foreign Language Film. Normally, I won't have a guest on to talk about a film or TV show if I can't see it first. But I'm a fan of Amin's and I'm curious about his unique situation as director of the first Disney International production ever intended for the Arab world. I expect we'll hear an amazing story.